Durable Close Cell Expanded Polyethylene Foam. Firm roller that delivers highly efficient results - you'll never want to use any other roller! 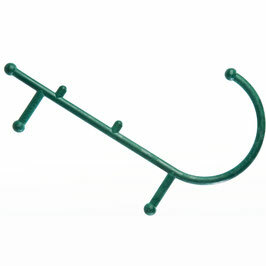 The Original Thera Cane self massager for immediate relief of trigger point pain anywhere in the body. A great tool to have at home for on demand relief from sore muscles after a stressful day at work! Made from a combination of fiber glass and plastic, it is light and comes with a lifetime guarantee. 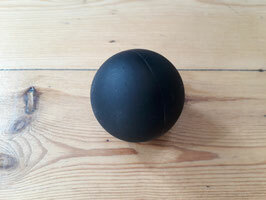 6cm massage ball made from silicone rubber. Ideal for getting rid of knots in over-worked/tight muscles. Learn about the new perspective on Movement as practiced by the world's leading authorities in Sports Performance Training and Rehabilitation (Gray Cook, Dr Greg Rose, Dr Lee Burton, Dr Evan Osar, etc), and why an holistic appraisal of movement is essential for understanding movement dysfunction, chronic pain and injury, as well as for developing sustainable performance. In this 2 day intensive and practical course, Movement Specialist Kobus du Plessis, will also teach you of the Fundamentals for Movement Integrity, the universal Principles of Movement, as well as share the basics of Corrective Programming from his rich experience. The course will also give an introduction and overview of the Functional Movement Screen as a means for a functional baseline to all pre-conditioning and post rehabilitation programming. Cost: R3,500 (Full Price) - Includes lunch & drinks on both days.